If you wake up covered in sweat or shivering wrapped in your bed sheets, then your bedroom is definitely not the right temperature for sleep. Finding the perfect sleep temperature can be tricky, but there are a couple thing to focus on to make it easier. While most people sleep best around 68 degrees, there is no one room temperature that is right for everyone. For many sleepers, the ideal room temperature could be anywhere from 60-68 degrees. Finding out where you fall in that range may take some practice and adjustments, but eventually you’ll figure out what fan setting is right for you. No one wants to sleep hot, so simple things like keeping the blinds shut during the day can help you achieve your perfect sleep temperature. Keep in mind that the body naturally cools before sleep, so a cooler temperature generally helps you fall asleep quicker. Your bed temperature may prevent you from falling and staying asleep at the perfect temperature. Try sleeping on your couch or an air mattress to determine if it’s your mattress that is causing you to sleep hot or cold. A hot bed is often a memory foam mattress that isn't designed to properly distribute air and moisture. 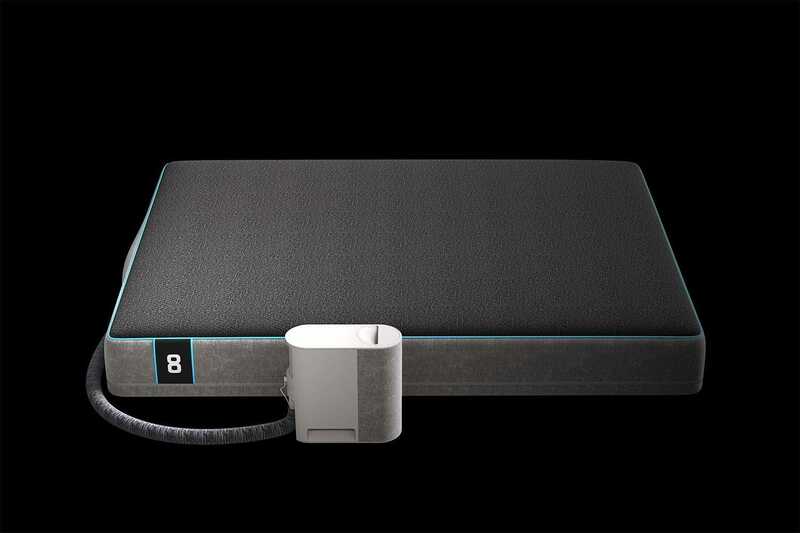 Replacing your bed with a cooling bed such as the Pod may help you achieve the right sleep temperature. Your bed sheets, pillowcases, and bed sheets all factor into finding the right sleep temperature. Fabrics like silk and satin aren't breathable enough for you to sleep comfortably. Always choose 100% cotton when it comes to sheets and pajamas. You can also find your own perfect temperature for snoozing with some help from the Eight app. The app helps you track changes in your sleep to see how they correspond with the temperature in your room and that of the bed itself. By being aware of such factors that affect sleep temperature, you’ll be able to find the ideal bed temperature for you in no time.